I’m going to be using the PlayStation controller for the explanation of this, but it could be made for xbox also. This idea is to help map out custom hotkey bar. Button “L1” basically opens the first page of Hotkey menu bar (or wheel). From here the first four spaces are connected to the action-button-pad. Mapped out clockwise from the top. Now adding another shoulder button while pressing L1 allows access to different 4 spaces on the 16 space bar (or wheel). This gives quick access to 16 spaces, of which, the player can customize. BUT WAIT! THERE IS MORE. 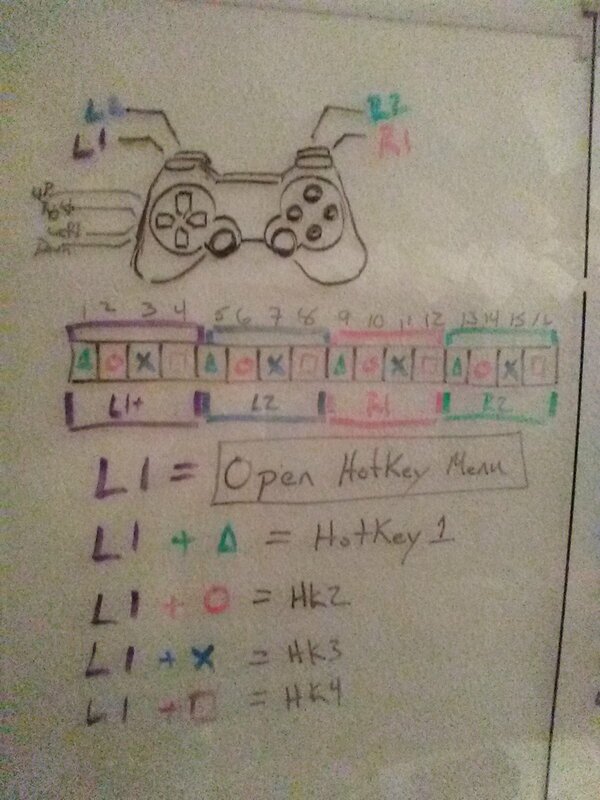 Adding the directional-pad buttons to L1 opens up different hotkey pages. 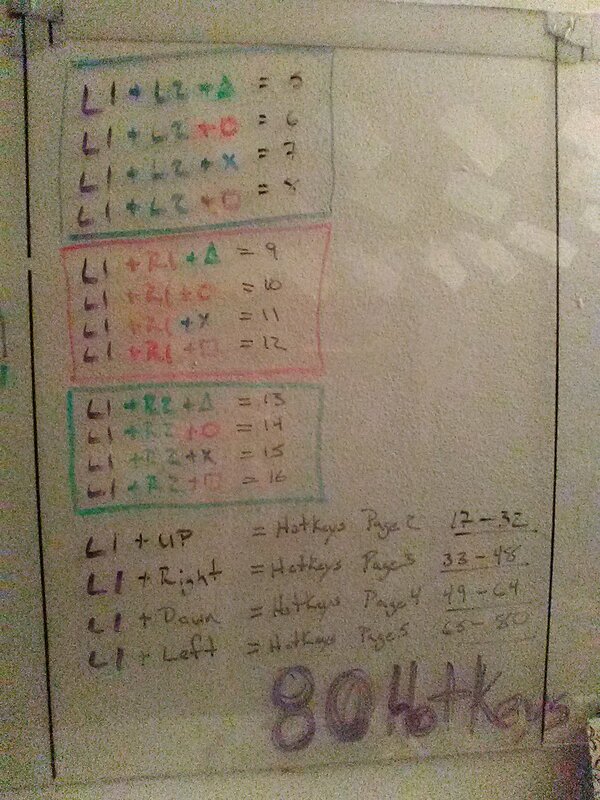 So beyond the first page of just L1, pressing Up, Right, Down, or Left before any other buttons adds 4 more pages for 64 more spaces to customize. This makes 80 spaces total to add a spell, potion, action, switch a weapon, activate a spaceship sequence, and such to a hotkey space. Plus…while I’m thinking about the UI of a controller… pressing L1 + (Directional-pad), could access the hotkey space with R3 joystick in place of pressing the additional shoulder-button + action-button. All this for an idea to make a expandable customizable hotkeys to a gaming controller. This would be awesome for hooking up the game controller to PC games.